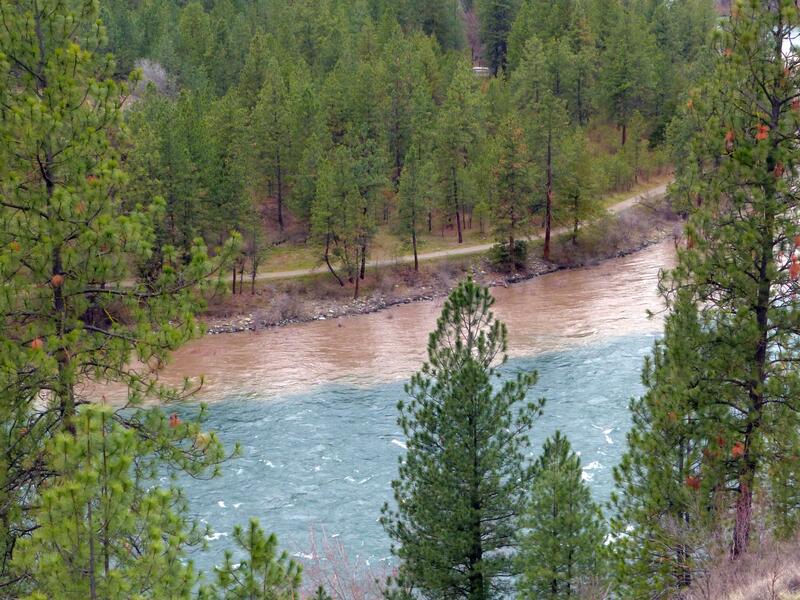 Fri., March 30, 2018, 6 a.m.
Conservationists and the state’s Ecology Department have agreed to a 10-year plan intended to clean up the frothy brown runoff that spills from Latah Creek into the Spokane River. The deal settles a federal lawsuit alleging regulators hadn’t done enough to curb soil erosion, high water temperatures and livestock manure that give the creek water its hazel hue. The Ecology Department must meet specific benchmarks during the next decade and the agreement establishes a clear path for officials to fine landowners who ignore or refuse requests to limit pollution into the watershed. “Now we have an agreement that really doubles down on the level of commitment that Ecology must show to clean up the creek,” said Jerry White Jr., Spokane Riverkeeper. The 60-mile long tributary of the Spokane River, also known as “Hangman Creek” for the Palouse tribal members believed to be have been ordered executed by Col. George Wright in the 1850s, has long been the target for environmental cleanup. In 2009, the Ecology Department issued its findings of a several-year study of the creek’s conditions in Washington state, calling for measures to increase plantings along the water’s edge to reduce water temperatures, encourage soil conservation techniques in farming along the Palouse to reduce erosion and increase buffers between the waters and grazing livestock. The Spokane Riverkeeper organization sued in September 2015, arguing the plan didn’t include specific steps that would be taken to improve the water quality, especially from so-called “nonpoint” sources of pollution – individual farms and properties along the banks of the creek, rather than large facilities such as wastewater treatment plants. The Ecology Department has been moving forward with efforts to reduce soil erosion and other issues, said Brook Beeler, a spokeswoman for the agency based in Eastern Washington. The lawsuit settlement will serve as a blueprint to continue those efforts, she said. In 2016, the department secured $15.6 million in grant funding from the U.S. Department of Agriculture to promote direct seeding and other farming techniques intended to reduce soil erosion in the Spokane River watershed, along with partner organizations that include the Spokane Conservation District, the Spokane and Coeur d’Alene tribes, and environmental groups. “I think it emphasizes that we are committed to using the right tool and the right approach for the problem,” Beeler said. The agreement, signed by both parties this month, requires the Ecology Department to produce a baseline report on creek pollution conditions by June 2019. It also requires regulators to contact up to 10 farms and ranches that are responsible for runoff into the creek and establish plans to reduce pollution. The plan sets up clear paths to potential enforcement orders or monetary penalties, allowed by law to reach up to $10,000 per day for noncompliance. White said his organization believed Ecology hadn’t been relying upon those monetary penalties enough to achieve cleanup. Beeler said the agency will continue to push compliance without the need for monetary fines, including encouraging farmers and landowners to work with agencies like the Spokane Conservation District to reduce pollution. But the fine option will be available in the future. “Really, we’re going to lean heavily on our partners to try and do this with voluntary options,” she said. Published: March 30, 2018, 6 a.m.